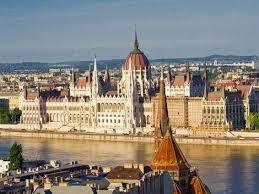 Take an advantage of the Danube capitals Bratislava, Vienna and Budapest proximity. Find out what they have in common and what differentiates them. Travel with us in a small group or individually and choose the services you want. A half day city tour of Vienna – you will see all the main tourist attractions of the Austrian Capital: the Ring boulevard with its marvellous representation buildings – State Opera, Imperial Palace, Museums of Fine Arts and Natural History, Parliament, Town Hall, the beautiful city park with the famous monument of Johann Strauss and the baroque Belvedere Palaces. A walk through the Imperial Palace Hofburg, an enormous architectural complex with a medieval core which for centuries was the centre of the monarchy. Stroll along the busiest shopping streets – Kartner Strasse and Graben on your way to another symbol of Vienna – St. Stephen’s Cathedral. 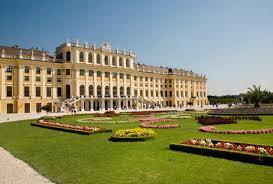 In the afternoon you can set off to the Schönbrunn Castle –the fascinating Habsburgs’ summer residence. The area includes the palace and numerous side buildings, as well as spacious gardens and parks modelled after Versailles Paris. After the whole day of sightseeing visit the Viennese “Prater” the famous historic amusement park in Vienna that offers much of fun and leisure. 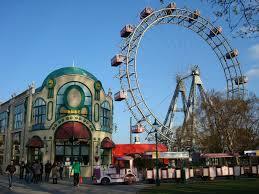 From the Giant Wheel, you can see the astonishing panorama of Vienna. Overnight in Vienna. A half days´City Tour – goes around the Chain Bridge and the Parliament *(symbols of Budapest), then stops at the *Heroes’ Square (with statues of the most famous Hungarian kings and dukes). Next you discover other main sights; the largest Synagogue of Europe and the Old Market Hall (busy market place where you can find the best Hungarian products. In the Castle District during a short walk we show you the main attractions of the area; the St. Matthias Church and the Fishermen’s Bastion (you can enjoy the beautiful panorama). After the tour you can continue to discover Budapest; walk the famous Váci Street (luxury shopping street) or indulge at the historic thermal baths of the Séchényi spa and see the locals enjoying baths. In the evening get to the Gellért Hill (Citadel) and see the most spectacular view of the illuminated Budapest or go for a typical Hungarian folkloric show with the dinner. Overnight in Budapest. A half day city tour starts with sightseeing of the most important places, historical and cultural sights of the city. 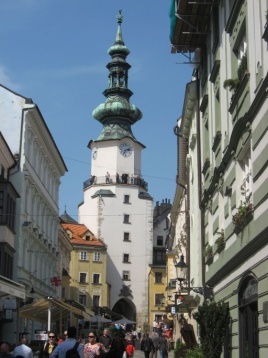 It stops at Bratislava Castle, and memorial Slavín with their fantastic panoramic views. 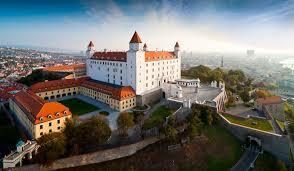 The Castle is dominating historic monument of Bratislava, it was once the seat of Austro – Hungarian kings. After having a bird’s eye view of Bratislava from the Castle, return to the Old Town and continue with walking sightseeing viewing St. Michael´s Gate, Academia Istropolitana, Opera House, Primatial Palace, Old City Hall and St. Martin´s Cathedral. In the afternoon you can visit the romantic ruins of Devin Castle situated above the confluence of the Danube and Morava rivers, boasting a superb view over the wetlands of the river Morava, neighbouring Austria. In the evening we advice you a visit of the opera or ballet performance in the National Theatre ; high artistic quality for inexpensive price. Tours available: all year. The programme can be adapted to customer wishes. Transfers: Calculation based on min. 4 pers. Bratislava – Vienna: 20 € / pers. 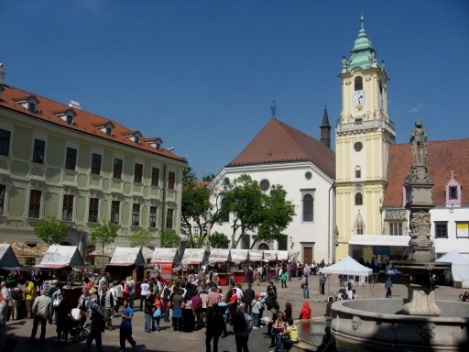 Bratislava airport – hotel : 6 €/p.p. Vienna – Budapest : 68 € /pers. 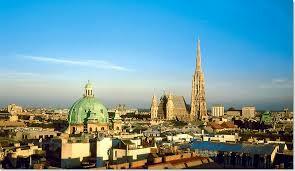 Vienna airport – hotel : 17 €/p.p. Budapest – Bratislava: 55 € / pers. 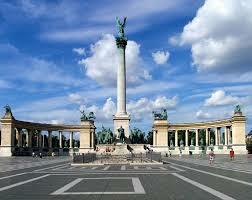 Budapest airport – hotel : 17 €/p.p. Tours: Price incl. English speaking guide and transportation. Calculation based on min.4 pers. Vienna city tour – 3,5 hours: 44 € / pers. 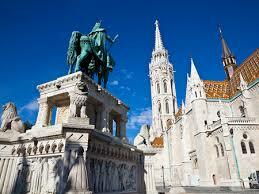 Budapest city tour – 4 hours: 44v € / pers. Dinner: Typical Hungarian folkloric show (duration: 3 hours) with dinner from € 40 / pers. Menu: four dishes, such as goulash soup, goose liver or the famous dessert Somlói Galuska accompanied with good Hungarian wines. During dinner you will see a folk dance show with the famous Hungarian dance “csárdás” and listen to Hungarian and gypsy music. Other services and detailed itinerary on request.